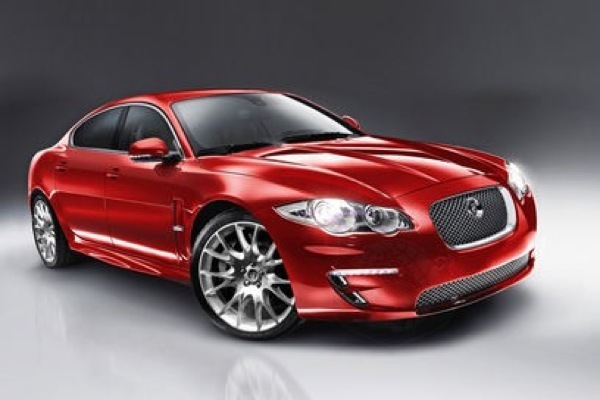 We’ve heard on the grapevine that the Jaguar board has signed off a new-age X-Type-replacing model. Given the current resurgence of Jaguar, underpinned by the success of the XF and new XJ, the arrival of a new entry level model will prove a useful fillip. According to Auto Express, Tata Motors’ Chief Executive, Carl-Peter Forster, has acknowledged that Jaguar needs a smaller, higher-volume vehicle. The new car is already under development and, according to Jaguar insiders, we can finally put paid to the rumours that a smaller car would carry the Rover name – such an exhumation is not even on the agenda. Jaguar is reportedly working on a new modular aluminium platform that would be shared between the new smaller car, the mid-sized XF and the next-generation XK. In renderings posted by Auto Express at least, it’s clear that the baby Jaguar will continue the family theme instigated by the XF – as well as sharing themes with other X250 proposals. The stylish new entry-level Jaguar will bolster JLR’s presence in the sector following the arrival of the impressive new Range Rover Evoque. A carbon copy of the XF… Come on guys, you can do better than that! Lovely 🙂 Now get on with it!!!! Is this rendering actually from Jaguar or just from someone at Auto Express drawing an image of what they think it might be like? If Jaguar are going to make an X-TYPE replacement that looks like this rendering, I’d better start saving! Lol @ Steve… a carbon copy of the sexiest saloon currently in production and you think that’s a bad thing? Lol it looks really good but alas it is just an Auto Express photoshop jobbie. However, you can bet that the new X-TYPE will look even better. I think it’s good news as, while I am still driving my XJ40 and will never afford to buy a new one, I can look forward to buying a secondhand Jaguar which is significantly under 5 metres long. I quite like the above “Cub” – it looks like a lovely cross between the XF, the ZT and the Rover 75 Coupe concept. Nice work guys and girls. I hope you give it a nice backside though NOT like the new XJ. Alex. I have to leave another comment… I just love the look of this baby Jag and it’s really funny how I can’t seem to like the look of the car that MG have come up with – even though the MG6 is designed in Britain it still doesn’t look right. I think I was expecting something really groovy from MG and it didn’t happen. MG have produced another car and that’s really all it is. Alex. Put this into production… A smaller XF, why not? It’s one of the nicest cars around at the moment. Amazing that one marque that was commercially very successful over the last four decades and could return a profit (albeit it not continously), is being given such a cold shoulder by another marque that, until the arrival of the XF, was a near constant loss-making concern surviving on life support and noted for more for emulating rather than innovating. Looks pretty good. The problem with these publicity photos is there’s often nothing to give a sense of scale. Just how big/small is it? It’d be nice to see it alongside something else just to give a reference point. 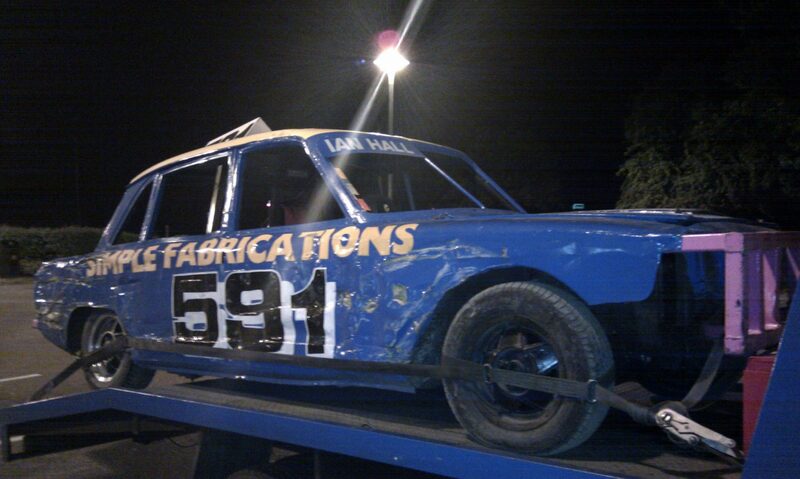 In fairness, plenty seems to be happening with the true descendants of the Solihull Rover, i.e. those bits preceded with the words of Land and Range. However, as for the Rover car brand, it’s been pretty much downhill since the P6. Given the SD1, the succession of rebadged Honda’s, BMW’s failure to capture the imagination of the market with the 75 and the subsequent Phoenix years, it’s hard to see that any value in the brand remains. This drawing is one of Auto Express’ “What It May Look Like” pics. It will have nothing to do with the design being worked on at Jaguar. Fair points, Honorary Swede, although is Jaguar much better? Rover, at least, returned a profit and did not take forever bringing out new additions to a range. Three and a half years after the XF was launched we are still no nearer to seeing the much rumoured Estate or Coupe versions. Jaguar seems to rely on the goodwill of existing customers and enthusiasts to justify such delays – compare that to the more proactive approach by the Germans and Swedes. It could be argued that much of the original Rover spirit still lives on in some of the latest Land Rover offerings – the P5B’s sense of occasion, quality feel and solid build are evident in the Range Rover (particularly evident when sat inside it), while the younger, more agile Range Rover Sport has some of the dynamic appeal of the original P6. Who knows, but perhaps someone will one day describe the new Evoque version as being as avantgarde as the old SD1 was? 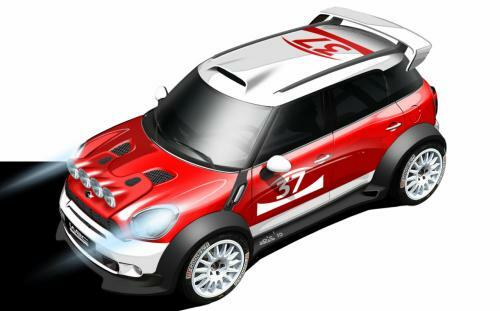 Quite right too – another speculative Auto Express rendering masquerading as the “real thing”. I would like to see Rover come back but fear it’s too late. JLR need a higher volume model to meet Euro targets – I don’t care if it’s a Jaguar, LR or Rover. This might by a rendering from Auto Express but they normally come from leaks within Jaguar itself. It looks like a mixture of XF and XJ with some of the other design ideas which came up in the XF design process. Anyway, I’d buy it if I could afford it, although I think Jag need to concentrate on getting the XF estate and a smaller convertible/sports car out first to keep growing the image and enable this proposed model to sell in large numbers. Don’t be surprised if this car forms the basis for a new volume model though – badged as a Tata or, maybe, a Rover. Ooh it’s so curvy. One day it will be mine, oh yes, it will be mine. I agree there – it would an horrendous uphill struggle to re-launch Rover now and, given the kudos of Jaguar, why on earth would you bother. With Jaguar, Land/Range Rover and MINI producing so many interesting vehicles right now, we do have a pretty good legacy of old BL. If the new small Jag looks half as good as this, it should give the A4, 3 Series and C-Class a good run for their money. Bring it on! This rendering looks like the car the X-TYPE should have been: modern and with RWD. Aluminium sounds expensive, so not something that’s easy to share with a Tata-badged volume model. With Freelander, Evoque and this, Halewood should be pretty busy. I said it before didn’t I? How can you improve on perfection? The answer is you can’t. Like alot of paradigm-shaping cars it’s hard to follow it up. Personally’ I think they have made some good changes if this is the production model. I never really did like that Firenza-esque droop snoot radiator of the big sister – the front-end stying on this pic is a lot smoother. I don’t really think it’s lazy – BMW are lazy – with their ‘ooh look i.e. the “I can copy a Humber Super Snipe and lay the lights horizontally and charge the earth for the same thing for 30 years’ approach” – and would you credit it – people still buy them. I have to admit, though, those ‘angel eyes’ running lights are a good idea and attractive (I complimented BMW, someone please put me out of my misery). Jemma sounds like a Rootes boff!! I like the shape of this but, as someone else said, I hope they get the rear-end right. I do like a good looking backside! I was wondering how long it would take for the obligatory “X-TYPE is a Mundano LOLZ!! !111” comment to be made. There should be a rule similar to Godwin’s Law. In reality, they were platform sharing. Do you point at A4s and say “Don’t buy it, it’s really a Passat!”? I like it as it will hopefully give an alternative in the small-executive sector that is actually comfortable, not like the bone-shaking Audi A4 and BMW 3 Series. So what if it looks like the bigger models? Surely this is the point of small execs: to get customers into the marque and trade them up in size. Please tell me there will be an estate and a decent amount of headroom. RWD is good news. It’s time to bring Rover back. If you have driven an X-TYPE and a Mondeo you will notice the differences – the X-TYPE seems cheaper and less like a Jaguar with an upright seating stance and more akin to the market the Mondeo was aimed at – even the switch gear was from the Focus and not the better quality kit found in the Mondeo. It also did not drive as well with the smaller engines and, in my opinion, it did not look as good (except for the saloon version). I’m not going to mention the Audi A4 – just badge-engineering at its worst. Buy a Skoda – cheaper and better built according to the JD Power guide. Funny, when I was in Norfolk a few weeks ago, I saw a huge number of the new SEAT Exeo, the old A4. My first impressions are favourable, with its styling cues from the XF. I always thought Jaguar should continue with a replacement for the X-TYPE to compete against the BMW 3 Series and this new design can be that car! I look forward to hearing and seeing more of it. Please make it a hatchback. Let’s have some versatility. I think I have said this before somwhere on this site – the thing that let the X-TYPE down was that, while it was a very good car, it just wasn’t a very good Jaguar. The old guard picked up on the Mondeo angle and ran with it because there really was very little to criticise about it on the surface. Land Rover use Ford platforms but don’t get lambasted for it the way the X-TYPE did. What really let it down was that it was front wheel drive and the baby XJ styling just didn’t really work somehow. The bottom line is that all Jaguars are unique because there are an event in their own right – they’re all something special in the way that Audis, BMWs and Mercs are not and never will be not matter how good their products are – and, while the X-TYPE was undoubtedly very good. it wasn’t special so, therefore, it wasn’t a true Jaguar! Jaguar are now going to do it properly this time and there is no doubt in my mind that this will be special – it will be an event, it will be a true Jaguar. Ianto :Why? What good would that do? Leave it in the same place as Riley. Good whilst it was there (sort of), just let it rest in peace. The trouble with the X-TYPE was that it was too heavily based on the Mondeo, with way too much Focus and Mondeo switchgear and electronics. It was designed by bean counters and was, at best, adequate. The same indicator noise as a 1.25 base Fiesta? Ford stalks? Hmm… Front wheel drive chassis dynamics in that class??? Sorry, nope. Rear wheel drive is king in that class. It was never going to interest ‘3 Series man’. However, the new baby Jaguar just might, especially as the current 3 looks blatantly awful, with wheels that look way too small. Jaguar have shown that, without the berks of Detroit calling the shots, they can make cars that people desire. Ford blunted the Cat’s claws, but Tata, bless em, have sharpened them again. Nothing wrong with the Rover badge… on the right product. Any marque with the right car and marketing can cut it, otherwise why would VW have bothered with Skoda and Seat? JLR are doing the right thing, concentrating on Jaguar to get the whole model range right before the more difficult job of entering other sectors with alternative brands which would mean very different styling, engineering and marketing to a different audience. It can’t be a half-hearted attempt or, as history proves, a poorly funded attempt to compete in a very competetive market. It can’t be done on the cheap these days, so well done Jaguar for sticking with the sector with the right car. I would, though, love to see Rover back and, with the right car, I would buy one. In my opinion, the X-TYPE failed because the styling was just S-TYPE meets XJ (X300) and the Jaguar customer never really asked for 4 wheel drive when that’s what they had to have if they wanted a 2.5 or 3.0 V6. Additionally, they would be paying for the privilege and taking a hit on performance and economy when compared to 2.5 and 3.0 BMWs. The front wheel drive versions just wouldn’t appeal as much to BMW and M-B drivers. The Mondeo connection (albeit weak by the time it went into production) didn’t help the image either. I like the styling as shown above but it is, as far as I’m aware, just an Auto Express guess. Nothing wrong, but it’s been dead for five years and no mainstream brand has come back from the dead. It is time to let go, Rover ain’t over coming back! You’re absolutely right. Auto Express just make it up as they go along. The Sun of the car magazine world! I wouldn’t take much notice of this photoshop image or expect the story to be based on any facts. The wood of the Jaguar X-TYPE? Take a reality check – it was plastic just like the rubbish that was put into later Rover 75s. Funny how the motoring journalists always rated the Mondeo over the X-TYPE and said that, if it was their money, they would buy the Mondeo or Honda Accord over the BMW, Jaguar or Merc. Hopefully, with the awful cheap designs of the Americans out of the way and the British team leading the design, the new car could be a world-beater – JLR just need to get some decent engines at the smaller end of the market. A modular aluminium platform – isn’t that going to be expensive! I can’t see how they can afford that. Surely they need a partner to develop a platform with? That’s why the old X-TYPE was Mondeo-based. Don’t slag the Mondeo off – it’s one of the best handling cars for the money and a lot of it was developed by Ford in Germany so it can cope with autobahn speeds. It’s great value used. The interior may be bland and cheap looking but it’s well made and easy to service yourself. I don’t see why anyone is surprised it’s not being called a Rover. I mean Jaguar have spent ages building a reputation on their name so why suddenly call it something else? It would be like BMW suddenly renaming their new 3 Series a Riley for no reason. Rover is dead… LONG LIVE JAGUAR! You are right Jon… The X-TYPE is an altogether more upmarket car and I welcome a continuing replacement for that model. My brother recently bought a 2009 XF in Indigo Blue and it is a superb vehicle – but you know that already! The point of bringing back Rover is to avoid devaluing the Jaguar name. Surely, to use the Jaguar name even on an X-TYPE replacement is stretching it – before the X-TYPE there was no Jaguar competing in that sector. Rover, on the other hand, have been competitors in the “Junior Executive” market for years – in fact, they more or less invented it. Rover is the ideal name for a car this size and can also be used for the next size down. Furthermore, reviving Rover would broaden Jaguar’s appeal to buyers and allow competitive pricing to attract people for whom a Jaguar is too expensive. Rover remains a familiar though moribund name as hundreds of pre-2005 Rovers are (unlike Rileys or Triumphs) still on the roads. The use of the Rover brand would also logically complement the Land Rover name. Jaguar Land Rover don’t own the Rover name, so they can’t use it. The whole point would be to make a small JAGUAR, not a Rover. The small Jaguar will presumably be engineered to have low CO2 outputs to bring down JLR’s corporate average, as will be required by EU law. This is the real raison d’etre for the small Jaguar. I’d guess it will be priced to compete with the BMW 3 Series (from which it will hopefully take some sales) while, if it looks like a scaled-down XF, it will be beautiful. I don’t think the Auto Express picture is right, though. The bonnet looks a bit low to pass modern pedestrian safety requirements. A quick search on the Intellectual Property Office’s website reveals that a total of thirty Rover Trade Marks are registered to Land Rover (as opposed to Land Rover Group Limited). Indeed, one of them actually dates back to the 29th January, 1884! Jaguar Land Rover would not, in view of the above, be legally precluded from reviving the Rover marque if a viable business case justified such a move. JLR own the Rover name, as Clive has just said – the IPRs were bought from BMW by Ford in 2005. Ford then passed them to Tata when Tata took over JLR. I assume that the 1884 Trade Mark is actually for a bicycle. The Rover name actually originates from the company’s predecessor, which invented the Rover Safety Bicycle – that actually formed the basis for all modern pedal-powered bicycles. Ianto :@Timbo Nothing wrong, but it’s been dead for five years and no mainstream brand has come back from the dead. It is time to let go, Rover ain’t over coming back! Talbot came back in the 80s in the UK and Europe, Chrysler came back in the UK in 1994 after disappearing in 1978. Not sure if that’s a good example though! Five years is nothing, especially as the roads are still full of Rovers. Brits are just too good at supporting obscure, soulless tat from the likes of Hyundai, Kia and Proton rather than supporting home-based brands – the extent to which we do so is unprecedented in any other car producing country: “Oh let’s pay thousands for this unheard of, bright, tinny lump of uninspiring guff – it must be good ‘cos it ain’t British… innit”! Rover is only held in such disdain here in Britain and then not by everyone. A Rover revival is possible and, as I said before, Rover would still be a success with the right car. That’s my understanding as well – JLR now own the Rover name, so there would be nothing to stop them launching this as a Rover. Mind you, if JLR was going to use the Rover badge, it would, IMHO, be more likely as a vehicle for bringing in some more mainstream models from India. Any takers for a CityRover 2 done right this time? Incidentally, on a separate topic, does anyone else see the irony of one of the world’s largest steel manufacturers, the parent company of Corus nee British Steel, investing so heavily in a full range of aluminium vehicles? Ianto :@TimboNothing wrong, but it’s been dead for five years and no mainstream brand has come back from the dead. It is time to let go, Rover ain’t over coming back! 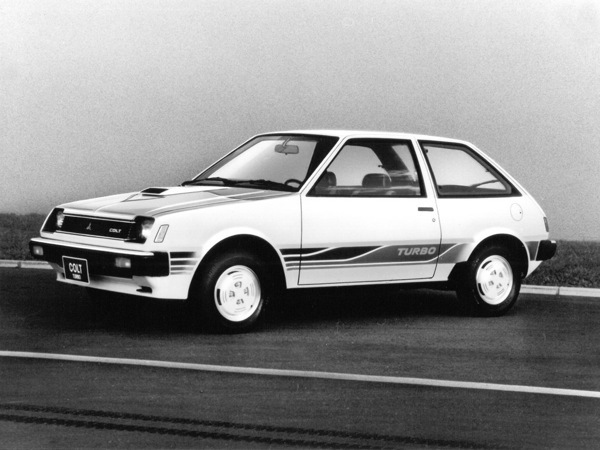 Talbot came back in the 80′s in the UK and Europe, Chrysler came back in the UK in 1994 after disappearing in 1978. Not sure if that’s a good example though! Five years in nothing, especially as the roads are still full of Rovers. Brits are just too good at supporting obscure, soulless tat like Hyundai, Proton and Kia rather than supporting home based brands to an unprecedented way in any other car producing country- “Oh lets pay thousands for this unheard of, bright, tinny lump of uninspiring guff, it must be good cos it ain’t British….innit”! Only in Britain is Rover held in such disdain, and then not with everyone, it is possible to return and as I said before: with the right car, Rover would be a success. I am not convinced, programmes and publications like Top Gear and CAR magazine have caused massive damage to the Rover name over the years, not to mention the effect of the P4. Actually I think that Talbot is a good example (although it wasn’t really a British volume manufacturer previously), of how not to reintroduce a brand to the UK. Sad as it is, Rover like Austin, Morris, etc is stone dead and will never come back. Jaguar and MINI on the other hand are in rude health, and hopefully will continue the legacy of British cars for the foreseeable future. The trim in the X-TYPE was wood – as it still is in all Jaguars – and was made at the soon to be sold off VMC at Browns Lane. It’s not – my Uncle worked as a Consultant for Ford back in the early 00s when Ford was looking to making large savings across the business and find uses for the soon to close Dagenham plant. This included Jaguar, LR, Volvo, Mazda and Ford itself. It was my Uncle who informed me that Jaguar were not using wood on the X-TYPE and the team he was working with were asked to find further savings on how to reduce its costs. The sub-assemblies were originally produced at an outside contractor (based at Witham – can’t remember their name) but this was brought back in-house to save money (they were produced at Dagenham until last year when JLR pulled the plug as Ford had increased the manufacturing price!). I reckon it’s more likely that the baby Jaguar will not be made in aluminium as the cost of making a volume car is greater – the XF, XK and XJ can be made from aluminium as they can be charged at a premium. Furthermore, producing a baby Jaguar in steel might enable a large Tata or, possibly, a Rover to use the same floorpan. However, it is more likely in these days of cost-cutting that JLR will share platforms with another manufacturer – BMW, the PSA Group and Saab have announced a similar deal to produce a new small car platform for the next generation MINI, 207, C3 and an all-new Saab 92. Don’t be suprised if you see Ford and JLR link up again – Ford still produce JLR engines for them at Bridgend and Dagenham. BMW AG and Saab Automobile AB have not, to the best of our knowledge here at AROnline, formally concluded their much-mooted platform-sharing agreement for the next generation MINI and Saab 92. Let’s get one thing straight here: the X-TYPE did not fail as it sold in massive numbers for a niche player. Jaguar are more than pleased with the sales figures for this car and I can quote you that from the horse’s mouth. Rover has gone and will not be brought back by Jaguar Land Rover and that’s a FACT. The Rover marque died 5 years ago and I mourn its loss but, as with all things that die, time heals the wounds – after all it is only a car. MG continues and that is great, Jaguar are progressing at some speed, again for a niche player, with many customer clinic-led concepts for differing products INCLUDING an SUV, which is not, by the way, that pretty. There seems to be a lot of hearsay and conjecture on these forums with people stating incorrect facts – it is a shame really as the incorrect info is way outweighing the interesting and correct stuff. I can also confirm that the trim used in the X-TYPE was wood. I have seen it being crafted by the many competent and skilled staff at Jaguar, so again incorrect information. Yes, they do (as has already been pointed out above). AROnline wonders whether the new model being developed jointly by Tata Motors Limited (TML) and Jaguar Land Rover (JLR) referred to in this article by Neha Rishi, which was published by India’s DNA (Daily News & Analysis) website on the 28th June, 2010, might, in time, be launched as a Rover in Europe and the UK. AROnline therefore infers that this new TML/JLR-developed model will be targeted primarily at the premium sector in emerging markets. The Tata badge may well be fit for such a purpose in China and India but the Rover marque would surely be better suited to a premium role if TML ever decided to market the car in Europe and the UK. Looks stunning. However, it’ll never cut it as long as its six-cylinder engines are in a Vee – only an inline six will do for me! Sorry, I’ll be sticking with my BMWs for now. Very interesting – getting out my calculator, Rs 20 Lakh is 27,000 GBP at current exchange rates. This is a bit of a volte face as, at the time of the demise of the X-TYPE, CAR Magazine ran an article stating that Jaguar would become more of a niche player and not go downmarket again. The reality is that sales of large execs are on a steady decline and so, with BMW and Merc making Golf class cars, Jaguar can’t ignore smaller cars. They definitely don’t need to handicap such a car with the Rover name which is so dead it smells. The current Which? Car magazine rates all Rovers as the most unreliable used cars. This was reported in last week’s Auto Express magazine and supported by comments attributed to Saab. Not really on topic but… that is very interesting as their website doesn’t even cover Rover. JohnH :This is a bit of a volte face as, at the time of the demise of the X-TYPE, CAR Magazine ran an article stating that Jaguar would become more of a niche player and not go downmarket again. The reality is that sales of large execs are on a steady decline and so, with BMW and Merc making Golf class cars, Jaguar can’t ignore smaller cars. The world does not need a Rover revival anymore than it did a Talbot revival in the 80s. Most people have probably even forgotten about Austin and Morris and, after another ten years or so when all of the existing Rovers have been scrapped, they will forget about Rover as well. Personally, I was a great fan and I had a string of Austins, Rileys, Rovers and Triumphs but, as much as I enjoyed these cars, I accept that the automotive world is all about survival of the fittest. This is why BMW and Volkswagen still exist and BL doesn’t. Thank God that both BMW and Volkswagen have invested heavily in Britain and have saved Bentley, Land Rover, MINI and Rolls-Royce! It would just have to be a Rover if there was some honesty in the world. Does the Marketing Department at Jaguar really think that everybody wants to be seen in a Jaguar because of the image? You’ve got three prestige car manufacturers in Germany and each has its own customer base. I think Jaguar is just afraid the Rover brand could become bigger than Jaguar itself. This has been Jaguar’s fear for many years and that’s why they dumped the X-TYPE on the market years ago. I hope the Indians don’t make the same mistake as the Americans did. Finally, Jaguar will also stop finding a generous owner with deep pockets. Well said, all you people who are in favour of resurrecting the Rover brand. This is, indeed, a fine Jaguar and hats off to Jaguar as they have a fabulous range of cars at the moment. I have been to several Classic Car Shows of late and, guess what, the majority of cars have been Rovers such as the P4, P5, P6 and SD1 – fondly remembered they were too!! They were way ahead of their time… People seem to forget that Rover was around for over a 100 years before MGR went bang – what a shame. Incidentally, did anyone see Top Gear last night? Clarkson and co. were visiting the former Jensen and TVR plants. All gone – what a travesty! They were all unique designs. Auto Express did, indeed, publish an article headlined Saab, BMW to build 9-2 last week. However, that story, in turn, prompted one by Zach Bowman on Autoblog this week which reflects the current position with regard to a platform-sharing agreement between BMW AG and Saab Automobile AB rather more accurately. Auto Express is the worst offender for producing “Exclusive” images of possible future cars just to persuade the gullible general public to purchase their publication – that’s why I don’t buy it any more. Don’t get me started on that… it was that lot that were largely responsible for what happened to Rover Group in the first place. Furthermore, because the German brands invest so heavily in marketing their overrated stuff in the UK, claiming reliability and build quality are superior to all other cars, the sheep-like mentality of car buyers here has resulted in them falling for it and so the marketing hype has now become folklore. Why is it that my Jaguar never goes wrong, but my Rover 75’s BMW bits are the ones that fail? Stop knocking marques from these shores and support them for a change. Stop doing a Clarkson. Top Gear failed to mention that a lot of the sports car makes are still here and that there are newer ones like Ariel and Noble as well. Well done Jaguar, Land Rover and MG, now let’s see Rover back! The BMW asset stripping operation of Rover was a disgrace – but so was their ridiculous determination to have Rover designs as an imagined pastiche of Britishness. Much as it pains me to say so, Rover as a commercial brand is dead. Jaguar were also taken down the ‘pastiche of Britishness’ road by Ford – and it neally killed the company. Now that Jaguar have gone back to what they were doing in the 60s, producing models advanced for their time, they are on the road to success. Jaguar were certainly not “killed” as you say by Ford. Ford in fact, did exactly the opposite and turned Jaguar around after the Sir John Egan era when the company was near dead. The S-TYPE and Rover 75 models were a bold attempt to bring retro-styled cars back into vogue and, to this day almost 12 years after these cars were unveiled, they’ve aged gracefully. The Rover brand certainly isn’t commercially dead – it’s what was put under their bonnets and the Viking badge being put on the likes of the dreadful Tata Indica in the later years that tarnished the Rover name. Turn back the clock to pre-1994 and Rover was a horse of a different colour which, with Honda’s help, had a fine range of cars. BMW got their pound of flesh the MINI. Peter Harris :The BMW asset stripping operation of Rover was a disgrace – but so was their ridiculous determination to have Rover designs as an imagined pastiche of Britishness. Much as it pains me to say so, Rover as a commercial brand is dead. I agree, the Rover brand is completely dead and, five years on, is beyond the point of return. I am delighted that BMW, SAIC Motor and Tata Motors are reinvigorating MINI, MG and Jaguar and providing us with an even greater choice at ‘new car time’. We owe an enormous debt of gratitude to these three magnificent companies! I don’t buy Auto Express either but always have a butchers at their website when I’m bored. Most of the new car mags are, in fact, bad at using speculative renderings. Whereas BMW makes cars which are very common, Jaguars still have a presence. BMW never did style, Jaguar started on style. Until recently, at least, Jaguar traded partly on value e.g. the XJ12/5.3 was better than a Rolls-Royce for a fraction of the price and, for the price of a Ford Granada Ghia, one could purchase an XJ3.4. Andrew M :Whereas BMW makes cars which are very common, Jaguars still have a presence. BMW never did style, Jaguar started on style. Until recently, at least, Jaguar traded partly on value e.g. the XJ12/5.3 was better than a Rolls-Royce for a fraction of the price and, for the price of a Ford Granada Ghia, one could purchase an XJ3.4. I’ll have to disagree – the majority of old Jags (post-XK150) i.e. XJs, Mark 2s, etc, make you look like a spiv, bookie or gangster. Nice as the 12 cylinder is, the car it is in does not have the cachet of a BMW or Mercedes. However, the new range is fantastic – this is exactly where the brand needs to be and really takes the fight to the German executive cars. The recent management is to be congratulated! Sorry Andrew, I forgot to pick up on the issue of build quality at BL being better than Crewe – is that an ironic statement? Andrew M :Until recently, at least, Jaguar traded partly on value e.g. the XJ12/5.3 was better than a Rolls-Royce for a fraction of the price and, for the price of a Ford Granada Ghia, one could purchase an XJ3.4. I have to disagree with the “until recently” part of that comment. By all accounts the new XJ Supersport doesn’t embarass itself up against an Aston Rapide or Porsche Panamera for performance (it’s quicker than the Aston to 60) but is more comfortable and £50-60k cheaper. I’d make the same observation about the XK as well – all the reviews I’ve read of the special edition XK75 compare it to the DBS which costs twice as much. BMW has prestige, I’ll give you that, but they certainly don’t have cachet – they’re too common to have that… It’s Jaguar that does cachet and my god they do it well – a Jaguar is an event in the way that a BMW is not and will never be. BMW has never done a thing for the British car industry. They spent years figuring out what kind of cars sold and building them but then, when they bought Rover, they decided to go in completely the opposite direction to what they had always known to work – not, of course, that I’m insinuating anything. BMW are a disgrace with the morals of a piranha and the British public are fools for following the crowd every single time and not looking beyond what they are told. I disagree – the British public and the Phoenix Four killed Rover, the former through not buying the product and the latter through inept management. BMW has invested millions upon millions in the UK and they are the saviours of the MINI. I cannot even begin to think what the Phoenix Four would have done with MINI, but I am sure that it wouldn’t have had such healthy sales figures and that, by the time Project Drive had finished with it, the car would have been more akin to a Lifan 350. BMW are not the villains. It’s actually time to bring Triumph back. What’s BMW doing sitting on its arse with the name? Who won the war anyway?! MARTIN :It’s actually time to bring Triumph back. What’s BMW doing sitting on its arse with the name? Who won the war anyway?! What exactly makes now the time to bring Triumph back? I’d love to see Triumph back again, but BMW don’t need another brand – where would it fit in? BMW are going to launch a sub-MINI hybrid using the BMW brand so they will then cover the entire market range. Was there not some talk about relaunching Triumph as a brand in the US but the dealers were not keen? Does anyone under 50 remember the brand anyway? BMW are not the villains? You have got to be kidding me with this, right? Yes, they invested miliions in Rover, they invested millions in the MINI project, Cowley and Land Rover. However, when BMW sold Land Rover for £2 billion, they more than made their money back but then Land Rover was never a threat to them and they held on to Cowley so their investment was never lost there either. The MINI doesn’t count as it’s not a British company and that’s a fact! It’s German – not, of course, that there is anything wrong with being German but the fact remains that the MINI company is wholly German. I will agree with you that the Phoenix Four did a wonderful job of scewing up Rover for everyone but, even if they had been brilliant, there was still very little chance of Rover surviving after it had been stripped of its assets by BMW. What they did was deplorable – when you compare BMW’s handling of Rover to something like Ford’s handling of JLR, then you really see the differences. Unfortunately, the resurgence in Jaguar occured when the UK management won over Ford’s Senior Management by demonstrating that their backwards looking retro designs were not doing as well as forward looking contemporary designs would. It was Ford’s original insistance that the world wanted to drive Jaguar museum pieces that almost killed the company – just look at the S and X-TYPEs. BMW did the same with Rover. Interesting points, but I’m not sure I can agree. BMW invested millions in British Car Plants, many of which still exist and are occupied by a British workforce (I do not think it matters who actually owns the brand, British, German or Malaysian). Thanks to their benefience, there are thousands of people in the UK who are able to earn a living. Furthermore, in terms of legacy, BMW gifted the new Range Rover to Ford as part of the sale and they gifted the new 75 to Phoenix Four. They then set about doing what BMC and its successors had failed to do and created the new MINI – and what a marvel this car is. The Phoenix Four, on the other hand, wasted millions on vanity projects, whilst underdeveloping and decontenting their cars and stuffing their pension funds. The downfall of Rover was not due to BMW and it is disingenuous to suggest that it was. The Phoenix Four were almost entirely to blame (New Labour were also partly to blame as well). It is very easy to have a pop at BMW, and I believe it is quite fashionable to do so, but the fact is that BMW can be proud of their legacy in the UK! JohnH :I’d love to see Triumph back again, but BMW don’t need another brand – where would it fit in? BMW are going to launch a sub-MINI hybrid using the BMW brand so they will then cover the entire market range. Was there not some talk about relaunching Triumph as a brand in the US but the dealers were not keen? Does anyone under 50 remember the brand anyway? I suspect most people under 30 think that Triumph is a brand of bra or a motorbike ridden by Pamela Anderson in Barbwire ! Who, though, funded all the Jaguar and Land Rover designs during this period? Ford did – they introduced the common, very reliable Duratec engine which is what Jaguar badly needed with unreliability being their biggest problem. However,on the other hand, Rover’s 75 retro-inspired design had virtually nothing to do with the MGR’s demise – in fact, on the contrary, the car was very well received on its launch and it was the dire reliability problems of the archaic K-Series engine that killed this car… and SAIC Motor are still using this unit in the so-called new MG range! The sales of head gaskets will surely hit boomtime again! Sorry, Ianto – my last comment above was meant for Peter Harris. Here, here Peter. I think Ford will regret selling off JLR – it’s what comes next after these current range of cars have run their course under the stewardship of Tata Motors that remains to be seen. I agree totally that it does not matter who owns the companies – the important thing for me is maintaining and growing jobs in the UK – and a product that UK residents can be proud of. Regarding the BMW/P4 situation, BMW tried to have Rover producing ‘Gentlemen’s clubs on wheels’. This is a quaint view of Britishness that tourists love to see but which does not create a product that will sell in sufficient numbers to sustain a marque. BMW realised that they had made this error of judgement and then did the sums on two alternative scenarios: 1) Put more cash in to develop a range of modern cars that people want to buy but which would then be in competition with their core brand, or 2) Keep the technology that they could benefit from (4WD etc) and the new MINI product (which was almost ready to go), sell the valuable parts to Ford for a profit and give the rest away as a ‘face-saving strategy’ to the Phoenix Four who were faced with an almost impossible task from the beginning. One has to remember that the launch-day of the 75 was ruined by comments emanating from BMW in Germany about the long-term viability of Rover and that, at that time, Rover’s financial position would not have been so poor had it not been for ‘management charges’ being paid by Rover to BMW during their period of tenure. BMW’s actions can only be explained in one of two ways: they were either very disreputable or very stupid – and I know they are not stupid. Peter, I guess we are poles apart on this one. Peter, you took the words right out of my mouth… BMW are scoundrels and I don’t like them one bit! People forget that they took a profit-making company, turned it into a loss-making company, then broke it up and and chucked the Phoenix Four the scraps. However, on the other hand, I will always defend Ford till the cows come home. Ford invested billions into Jaguar year after year and taught Jaguar about reliability and cost management – when times got tough Ford stuck with them. The one mistake Ford made? Retro styling of course… but it has to be said that, the X-TYPE aside, they were all designed by Jaguar so they must share part of the blame. Jaguar were not going to go down the pan because Ford were sticking by them and, when Ford had to let them go, they made sure it was in the best possible state it could be… and look at Jaguar now. The only thing BMW looked out for was its own interests and sod everyone else! Oh, and the old new MINI is a terrible car, Ianto. Overrated doesn’t begin to cover it. Rover :@Peter Harris Peter, you took the words right out of my mouth… BMW are scoundrels and I don’t like them one bit! People forget that they took a profit-making company, turned it into a loss-making company, then broke it up and and chucked the Phoenix Four the scraps. You are overlooking the investment that BMW put into Land Rover, and the fact that when that company was sold to Ford it had the new Range Rover, as opposed to the horrid 1990’s drug dealer version. I am suprised that people are bashing BMW as they are continuing to invest in the plants in this country, and the MINI is such a brilliant car – to my mind and thousands like me it is far superior to the offering sold by Rover Group in the late 1990s. If the new MINI is so terrible, then why does it sell so well? This anti-BMW stuff has to be refuted. The English Patient nearly bankrupted BMW. It became a financial black hole with little chance of any return and no business can sustain that type of predicament. Mercedes dropped Chrysler and Mitsubishi for the same reason. GM killed off Saab, Ford just walked from PAG. BMW hardly asset-stripped the company. None of their four wheel drives have Range Rover ancestry and no one honestly believes that Rover would have made such a success of the MINI. They took a huge hit. Yes, BMW’s marketing was wrong, but it was based on all the errors of the BAe days and, in particular, of that undertaker to British Industry, Lord Simpson (he destroyed GE in five years!). Simpson pushed the idea of premium pricing which BMW mistakenly allowed Rover to pursue with all the dreadful consequences. I’ll draw a veil over the Phoenix Four. Their incompetence is unmatched even in British car making. Why the K-Series was never fixed is beyond me. BMW mistakenly believed Rover was better managed than it was. Any company that could launch a car as flawed as the Freelander (I once read that 500 different problems were identified in 6 months of launch) was no longer playing in the same world. I suspect they were glad to unload all the problems on Ford who took another decade sorting them out. Blame those really responsible… Thatcher for unloading the company to anyone who wanted it, Musgrove for chasing out a generation of staff, Simpson for having the business competence of a brick wall, Honda for playing cat and mouse with no intention of taking the comapny over whilst just making it totally dependent on unsuitable designs and BMW for being utterly naive. A breath of fresh air, at last. I fully agree with your analysis. BMW took enormous risks in taking on Rover and pumped huge amount of resources into it – the new Range Rover, MINI and R75 were all testaments to BMW’s involvement. The fact that each of these products is still around in some form demonstrates how well-designed they were in the first place. Without BMW there would be no MINI (does anyone really think that the Phoenix Four would have developed it properly) and no Range Rover. We owe a huge debt to BMW who provided a much needed injection of cash (and quality) into the British Car Industry. Big up to BMW! ANYTHING GERMAN IS BAD NEWS FOR THIS COUNTRY! JW :@Ianto ANYTHING GERMAN IS BAD NEWS FOR THIS COUNTRY! I’m not sure that either hating Germany or loving BMW despite the true financial data around Rover actually helps very much. It was all a sorry saga and is probably best put to bed. If this is the X-TYPE replacement, then I’ll go for it. I’m on my second X-TYPE and can’t really fault it. When I got mine they were better value than a Mondeo with the bonus of carrying the Jaguar name. I to am the proud owner of an X-type which has and is the best thing iv’e ever bought, you name it iv’e owned it, but nothing makes me feel more pleased than sitting in the cockpit of the jag and looking at the quality of the build with real wood and leather so much for your so called rivals with there drab plastic interiors lets hope the rumours of the x-type are true and that jaguar stick to the good old british quality finish.